Disclosure: I received the following product from Big Idea free of charge to better facilitate a fair and accurate review. No monitory compensation was received for this review. I was not required to write a positive review. 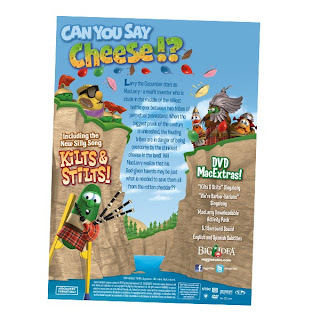 The movie released today 7/30 and it is a fantastic movie for the entire family! We had a blast getting ready to surprise our family with a new Veggie Tales Movie! 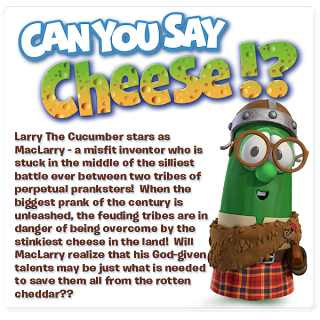 The older brothers were gone for much of the day helping a church family move, and while they were away the rest of us got ready for a surprise Veggie Tales Movie event! First thing was to hand out invitations! We got a box full of great supplies from Big Idea to help facilitate our party.Big Idea sent along plates, cups, and balloons as well as the MacLarry movie. We brought up a smaller table to host our assortment of activities to go along with our party. We had coloring pages, word finds, jokes, and even sing a long pages to go with the silly songs from the movie. The balloons were used in the movie for a water fight. We watched our movie for dinner so we decided to decorate with some, and to do a fun parachute activity with the others. We loved how Bob and Larry were printed right on the balloons! We got out our big parachute to shoot Larry and Bob balloons all over the room. 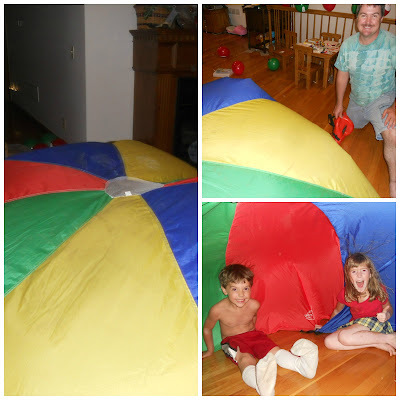 Then Dad had the idea to grab the leaf blower and make our parachute inflate like a dome. 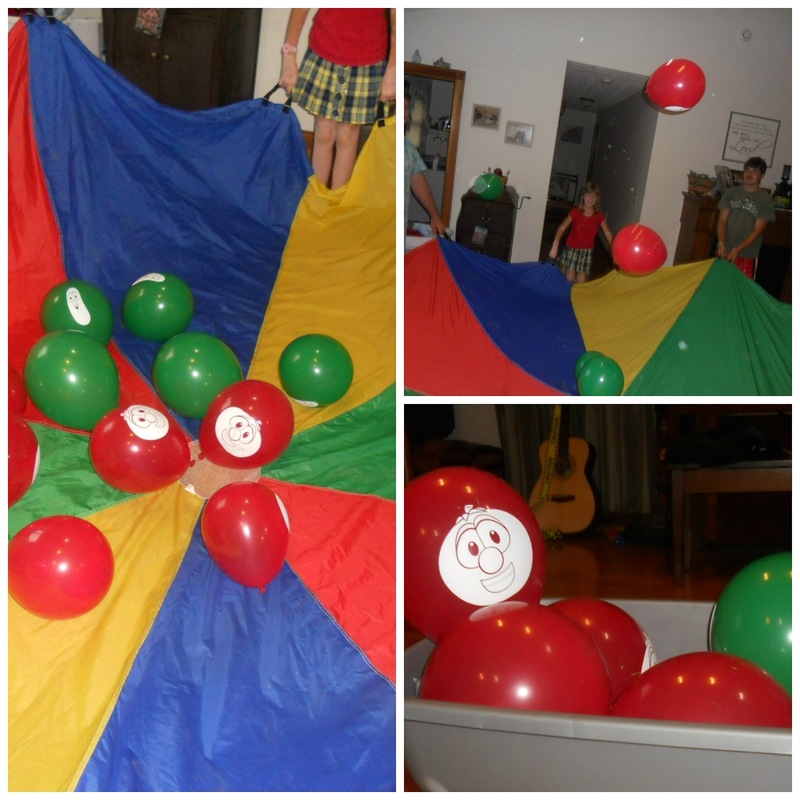 It was super fun being in side and throwing balloons around. One of the activities included a popcorn cone you could fold for a special snack while you watched the movie! Prepped, ready for the movie! 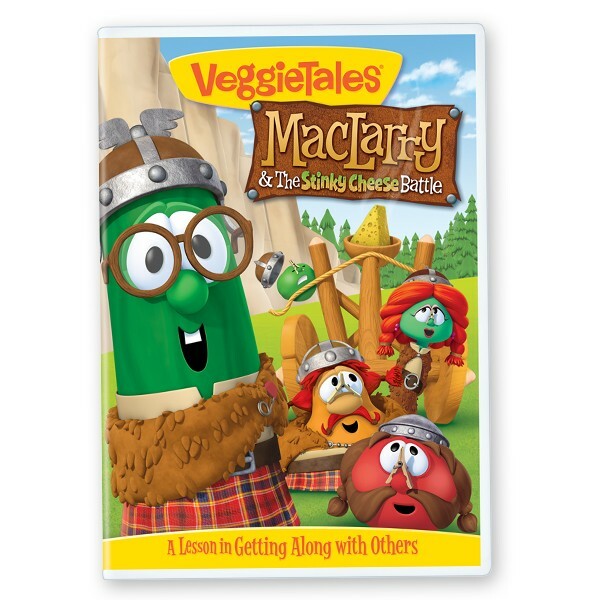 MacLarry just doesn't seem to fit in with his clan, even with his father Clog being the head Barbar-Barian. He is much more interested in reading and inventing, not finding the sense in trying to pull a better prank on the Romans, and waiting for their next attack. 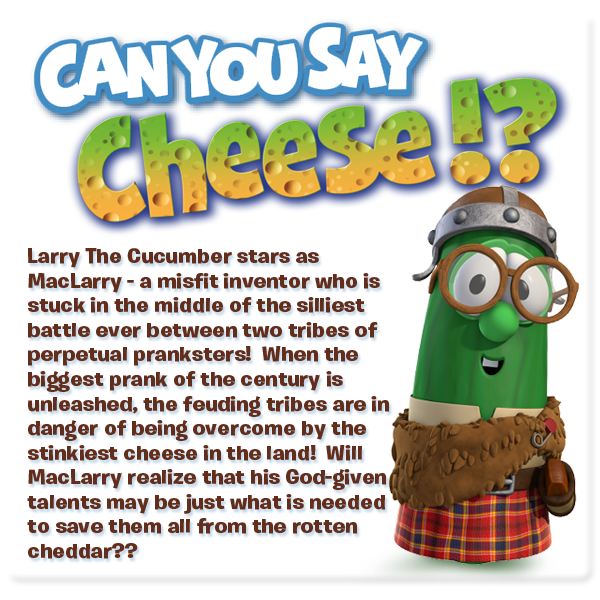 MacLarry gets frustrated and leaves his home, ending up in enemy hands. The Romans however find value in his inventions and pump up MacLarry to feel better about himself, and like he belongs. This is a great movie on realizing the gifts God gives to you, knowing that he doesn't give the same gifts to everyone. This applies to the kids and adults in the room. We talked afterward about our gifts and how God utilizes each one. There is no small gift or person. Two thumbs up from each one of us! Visit Veggie Tales on line to purchase your copy.